“High level of Rex’s experience and related stories." "As a veteran police officer for the City of Stockton, I have found that the techniques "Modern Bounty Hunting: Street Proven" contains to be extremely effective. I have been an arrest & control tactics instructor for our department, and I have noticed that the techniques demonstrated by Rex are similar to our departmental training, which are designed to minimize liability when making arrests. 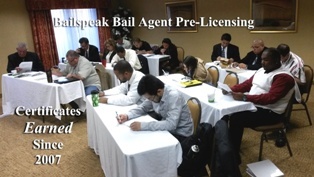 In my opinion learning and applying these techniques can be very beneficial in a variety of law enforcement/Bail Bondsmen arrests. In today's environment it's critical to have a basic knowledge of the techniques Rex offers to safeguard yourself while apprehending bail bond fugitives." 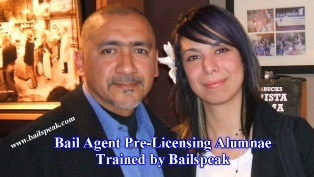 "I am an ex Law Enforcement Officer who has taken several hundred training courses in my career, but nothing compared to the training I received from BailSpeak. 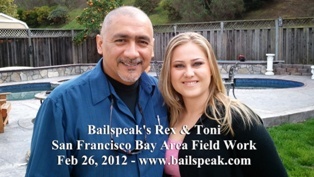 Rex...cover all aspects needed to be be successful in the Bail industry. 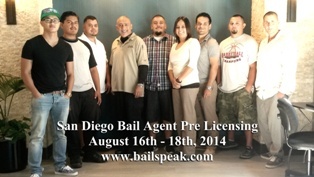 BailSpeak will teach you both Bounty Hunting and Bail laws. If you want to be successful in this industry, you must apply yourself and take the time to research laws, case law, bail laws, contract laws, motion drafting and court appearance. Bounty hunting isn't just about strapping a gun on your hip and hooking and booking. Sometimes skips hide and u won't be able to find them, so you will have to go from handcuffs to using a keyboard and technicalities to get the bail bond company off the hook. 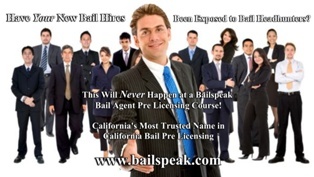 I have seen bounty hunters who are one dimensional and not willing to learn all aspects of bail come and go in the short time in the industry. There are plenty of doors to be opened in this industry, but you have to turn the knob and not just wait for someone to open it for you cause it won't happen. 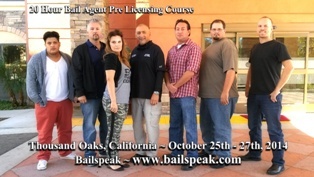 If you are going to spend the money to get into the bail industry, spend it with BailSpeak because you will learn all of the aspects I just mentioned and you will learn how to do things the lawful and liability free way where you will not learn that through some of the other classes." 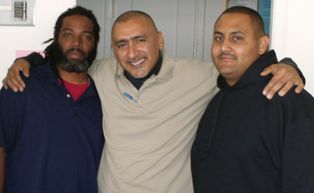 "Yesterday, I filed my first 1305(g) motion in Santa Clara County that I actually drafted myself. This was not an easy task for being the first one, but it was great experience. Hopefully it will be enough to get the company off their liability. I'm glad I took Bailspeak's motion class because it really helped me know what to do!!!!! 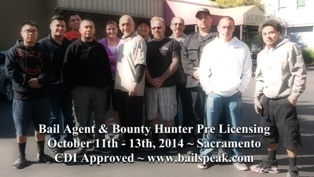 From pre-licensing to modern bounty hunting to street training to actively soliciting to getting cases to bounty hunting liability free to appearing in court on surrenders and motions to now drafting motions, it has been hard, but I owe all of my accomplishments to Bail Speak, Rex, Lion and all of the great advice and guidance from people on this forum!!!! Thank you for everyone's support and assistance." "I would like anyone reading this to know one thing. Rex knows this business! I've had the distinct pleasure of apprenticing with, and working side by side with Rex. 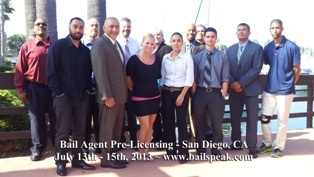 I can definitely say from first hand experience that when it comes to working all aspects of a bail recovery case Rex's knowledge is unparalleled, especially when it comes to the legal aspects of avoiding liability. When it comes to being tactical in the field, well let's just say that I wouldn't hesitate to clear a house with Rex as my partner. 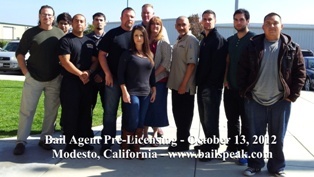 With the knowledge I gained through working with Rex I was able to land a position as a full time bail investigator with a major bail agency here in California. If it hadn't been for my association with Rex I wouldn't have had the success I've had so far in the fugitive recovery business. In just four months I've successfully closed out over 50 cases and I've saved my company over a half million dollars in liability. So far, not one of my cases has gone into summary judgement, and I've kept myself free from liability as well. And that all comes from the basics that I learned about this business while working cases with Rex. 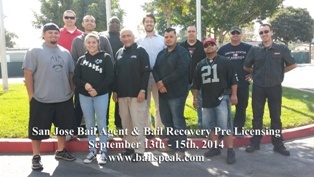 "Today, because of Bailspeak, conversations with Rex, hard work and Modern Bounty Hunter, I have obtained several lucrative contracts, drafted motions, putting a recovery team together and just been given the opportunity to be sponsored to obtain my Bail Agent license. This has all occurred and came together in a matter of 3 months time. 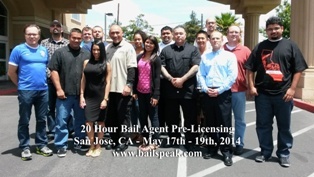 Thank you greatly Rex and all Bailspeak instructors." "I just wanted to thank you again for the class. 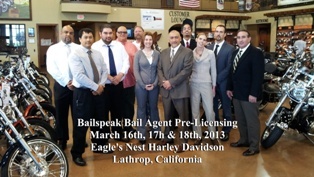 Bailspeak is a professional operation that i am happy to have contracted with for my training needs. 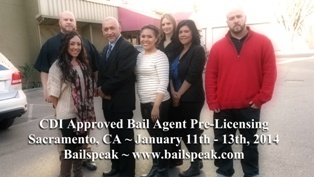 I have years of experience in civilian, military and federal law enforcement and previously contracted as a bail enforcement agent with approximately 50 apprehensions (prior to 1299). 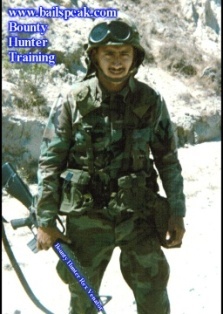 As a former defensive tactics instructor in New York City, your principles are sound and instruction methods outstanding. 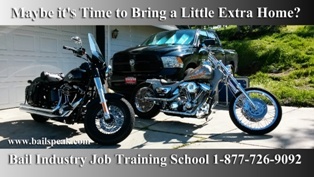 I look forward to attending many more training classes with you to re-hone my existing skills while developing new ones!" 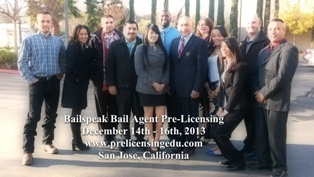 Female bail students consistently share, on Bailspeak Seminar Evaluation forms that its bail education classes are “fun” and “safe,” and Bailspeak classes are a learning environment that is totally conducive towards helping women get started in the bail bonds and or bounty hunting business. 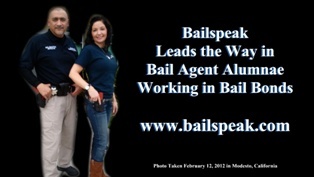 Bailspeak's bail training programs go back to the early 90's when its founder and Primary Instructor, Rex, pioneered bounty hunter street training in general and specifically with an emphasis in helping women decide if bounty hunting is right for them. 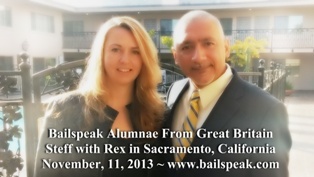 Scroll Down to read comments that were put in writing by Bailspeak's Bail Education Alumni, its Street Trained Bounty Hunters, and from those who have read bail and bounty hunting related books by Rex. "There wasn't a question about a law or a code that Rex didn't know or couldn't reply to. Very Impressive." Bailspeak Alumnus and Alumnae Offer Testimony, on the Record, via Post Seminar Evaluation Forms, Email, and even Letters sent via the United States Postal Service and Facsimile! 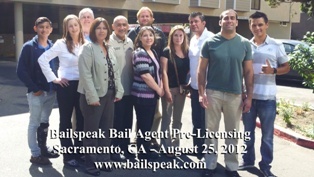 As the current state of the United States Economy endures, incidences of Internet scams, fraud, theft, identity theft and other scandalous crimes perpetrated against innocent folks is, arguably, on the rise; therefore, Bailspeak, since Day 1, has instituted unprecedented transparency to the extent that class photos started as a way for Alumni to quantify where their bail education came from; however, class photos have, since those early days, become a tradition inasmuch that people can prove that they did in fact take their bail education class from a California Department of Insurance bail education provider for a great many reasons explained in class. 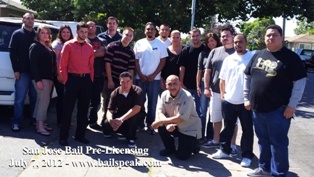 Below are just some (nearly 4,000 people have taken Bailspeak's classes and Bounty Hunter Street Training Programs or a full 1/3rd of actively writing bail agents in California) photos and direct quotes from Bailspeak Alumni in support of one very important aspect of living in today’s age of no privacy—Consumer Protection! 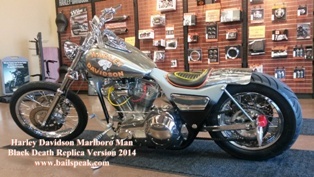 Click on the Below Image to See a Project Video Update. 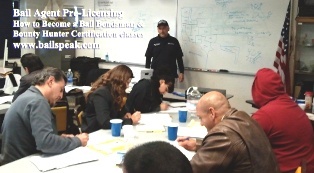 The complexities of my various small business operations are such that personally standing before so many people who are seeking occupational fine tuning or protracted career course corrections to produce more cash for their families, or are searching for something, or who are new hires all creates an interesting set of dynamics: instructing bail agent pre licensing and continuing bail education courses for me is a freely made choice; my other ventures generate enough cash flow and keep me very busy; I genuinely care about where people go from class; my phone and email are always open to Bailspeak Alumni for general discussions; if Bailspeak Alumni succeed then I succeed—that’s it; that’s why I have personally instructed over 2,000 people in the Art of Bail. Bailspeak absolutely does not in any way imply, suggest, or otherwise lead the reasonable person to believe that it has any type of so-called “Job Placement” apparatus for would-be students because even alluding to such a thing, considering the number of Bailspeak Alumni, would be insulting to any person who approaches the topic logically; however, this isn’t to overlook the fact that I happen to know loads of bail and bounty hunting people who were matched with many, many prospective candidates from the ranks of Bailspeak Alumni and are now enjoying some form of employment or work or independent contracting. This brings me to what inspired this opinion editorial. In my personal belief structure, it is my obligation to do what I can when I can to help people be successful within the realm of probabilities—not everyone can be matched with people looking for help in the bail trades, but I will try if success is at all possible. Here we arrive at what I personally consider very credible and good reason(s) to believe that not everyone with a history of instructing bail education classes has any designs, whatsoever, to help bail education students succeed and may even misdirect, mislead, and even view talented students as direct “competition,” which is a paradoxical way of thinking; why teach people to do what one does and then subvert their efforts to do what one does—it makes no sense to the morally principled but makes perfect sense to the morally challenged. The premise of this opinion editorial is that I personally teach in hopes of helping people surpass what I myself have done, and I personally know of some very talented people who are now blowing my own income averages off the charts as top tier bounty hunters and certainly bail agency owners with one or two (maybe 3 or 4) even writing upwards of $5,000,000.00 in penal liability each year after proper education and ongoing training support by this instructor! 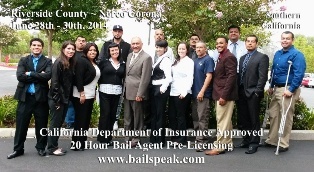 This California Department of Insurance “Approved” Bail Bond and Bounty Hunting School’s staff field and average of 850 incoming calls weekly, and its Cadre call back about 60 people weekly on topics spanning a fairly miraculous number of bail enforcement and bail bond licensing subjects. One area that is ever persistent is that of, plainly stated, allegations from random callers alleging and providing information on “Fake bounty hunting schools” and the suspected rascals involved. 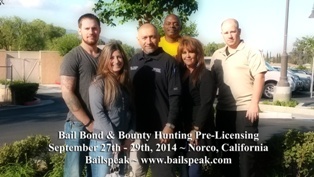 So how does one determine if a bail bond and/or bounty hunting school is real? 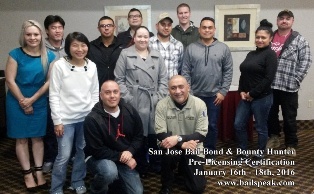 The above video is a great start, and here’s why: a real bail school will not be nameless or faceless; a real bail school will have a documented pedigree viewable by the public; a real bail school will have a publically available video record of its work going back not weeks or months but decades; a real bail school will openly display class photos for Consumer Protection; this bail school is the most transparent, most trusted, and pioneered the art of presenting evidence of its long history of bail education for decades; moreover, no other bail school in the United States has done what this bail school does in the best interests of folks looking into the California Bail Bond and Bounty Hunting Industries.